D23 Expo updates with news that CEO Bob Iger will kick off the Expo with a welcome to attending guests followed by the first of two arena presentations hosted by The Walt Disney Studios. Friday, August 9th John Lasseter will give fans sneak peeks of upcoming animated films from The Walt Disney Animation Studios, Pixar and Disneytoon Studios. Saturday, August 10, give fans sneak peeks of upcoming animated films. Walt Disney Studios Chairman Alan Horn will host The Walt Disney Studios live action arena presentation which will preview upcoming releases from Disney Live Action and Marvel Studios. Also, The Live Well Network has announced its D23 schedule with Joey Fatone, Ali Vincent, and Ryan Scott set to appear on Center Stage August 9–11, then meet and greet fans at the Expo’s Talent Round-Up. runDisney is excited to be at the start line of Disney’s D23 Expo and lead the way with the runDisney D2.3 Fun Run on Friday, August 9. 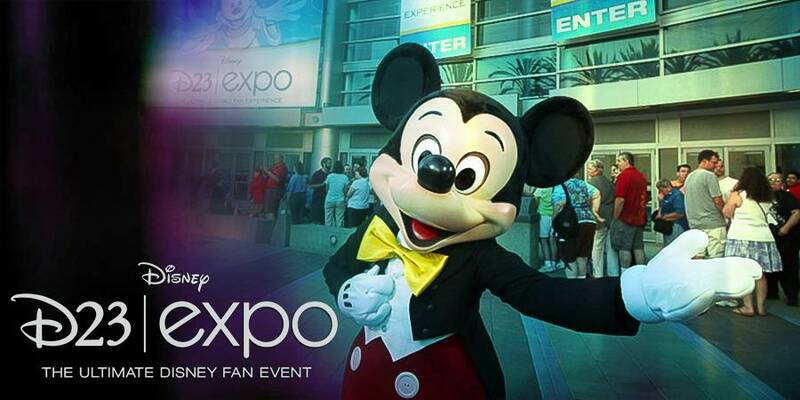 Burbank, Calif. – July 16, 2013 – D23 Expo 2013 will celebrate its grand opening with a welcome from Disney Chairman and CEO Bob Iger followed by the first of two arena presentations hosted by The Walt Disney Studios at the Anaheim Convention Center. On Friday, August 9, The Walt Disney Studios will surprise and delight fans with sneak peeks of the incredible slate of upcoming animated films from Walt Disney Animation Studios, Pixar Animation Studios, and Disneytoon Studios, hosted by Chief Creative Officer John Lasseter.Then, on Saturday, August 10, Walt Disney Studios Chairman Alan Horn will host The Walt Disney Studios live action arena presentation which will pull back the curtain on upcoming releases from Disney Live Action and Marvel Studios. Both presentations will feature exclusive clips and behind-the-scenes footage, filmmaker discussions, and surprise celebrity appearances. The 4,000-seat arena, the largest venue at The Ultimate Disney Fan Event, will for the first time feature a 2,000-seat overflow theater where guests will be able to watch these once-in-a-lifetime happenings though a live feed. Art and Imagination: Animation at The Walt Disney Studios (Friday, August 9, 10:00 a.m.): Disney and Pixar Chief Creative Officer John Lasseter, filmmakers and star talent will take guests on a journey through The Walt Disney Studios’ slate of upcoming animated features, including Walt Disney Animation Studios’ Frozen and Pixar Animation Studios’ The Good Dinosaur. Plus, catch the U.S. debut of the new Mickey Mouse short Get A Horse!, major movie announcements, and a not-to-be-missed live musical performance. Let the Adventures Begin: Live Action at The Walt Disney Studios(Saturday, August 10, 10:30 a.m.): The Walt Disney Studios Chairman Alan Horn will showcase the Studios’ exciting live-action release slate, including Disney’s Saving Mr. Banks and Tomorrowland, Marvel’s Thor: The Dark World, and much more. Friday, August 9 at 3:00 p.m. and Saturday, August 10 at 9:30 a.m., Ali Vincent, host of Live Big with Ali Vincent on the Live Well Network shares her fun ways to stay fit and pass the time while waiting in line at Disney theme parks. Ali, the first female to win The Biggest Loser, will demonstrate quick and simple ways to squeeze in exercise while spending the day at a Disney park, and get participants excited about the Disneyland Tinker Bell Half-Marathon, Walt Disney World Princess Half-Marathon, and many other runDisney events. 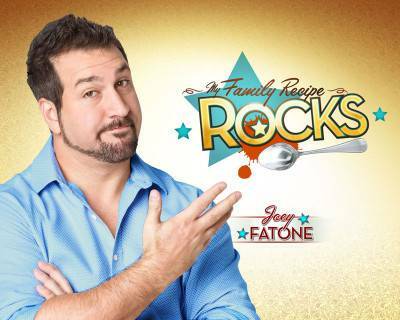 Saturday, August 10 at 1:00 p.m., Joey Fatone, host of My Family Recipe Rockson the Live Well Network, teams up with Disneyland Park and Disney California Adventure Park executive chef, Christine Weissman, to cook up a fun and interactive Disney family dish. Join them to learn a Disney favorite that everyone in your home is sure to enjoy! LAKE BUENA VISTA, Fla – July 16, 2013 – runDisney is excited to be at the start line of Disney’s D23 Expo and lead the way with the runDisney D2.3 Fun Run on Friday, August 9. A limited number of D23 Members will get the opportunity to experience the magic of a runDisney event and take part in a 2.3-mile fun run. The experience will include signature runDisney elements like Disney characters and the opportunity to run through a theme park, Disney California Adventure. In addition, runners will receive a shirt for participating and enjoy a little extra pixie dust along the way. This experience will only be available to D23 Members and a Membership number will be required at the time of registration. Fans can join D23 at www.D23.com and at www.DisneyStore.com/D23. Details on how to register to be selected for therunDisney D2.3 Fun Run will be available the week of July 22 on the Disney Parks Blog, Facebook (runDisney), @runDisney, and @DisneyD23. runDisney is a series of seven event weekends providing runners unique opportunities to run various distances through Disney theme parks. Race participants earn Disney-themed medals, experience legendary Disney entertainment and guest service, and ultimately celebrate their accomplishments with a Disney vacation. The original event in the series, the Walt Disney World Marathon Weekend presented by Cigna, takes place in January followed by the Disney Princess Half Marathon Weekend in February, Expedition Everest Challenge in May, The Twilight Zone Tower of Terror 10-Miler in October, and the Disney Wine & Dine Half Marathon Weekend in November. Disneylandhosts the Tinker Bell Half Marathon Weekend in January and the Disneyland Half Marathon in September during Labor Day Weekend. More than 125,000 running enthusiasts participate in runDisney events each year. For more information, visit www.runDisney.com and follow us on Facebook (runDisney) and Twitter @runDisney. The name “D23” pays homage to the exciting journey that began in 1923 when Walt Disney opened his fledgling studio in Hollywood. D23 is the first official club for fans in Disney’s 90-year history. 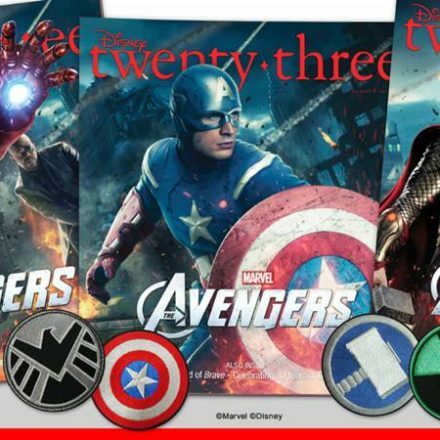 D23 gives its members a greater connection to the entire world of Disney by placing them in the middle of the magic through its quarterly publication, Disney twenty-three; a rich website at D23.com; and member-exclusive discounts and special events for D23 Members throughout the year, highlighted by the D23 Expo in Anaheim, California, August 9–11, 2013. Fans can join D23 at www.D23.com and at www.DisneyStore.com/D23. To keep up with all the latest D23 news and events, follow us @DisneyD23 on Twitter, Facebook, Pinterest and YouTube.